My freshman year of college I downloaded music and movies. I went to a well regarded university with Tech in its name. That year, every person on campus had watched LOTR weeks before it came out. I was a pirate, for one year. I have always worked hard though, and after that first year I didn't have time to consume massive amounts of media. 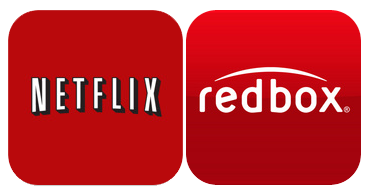 Convenience started to matter, and services started to pop up that legally offered a means to consume media for a reasonable fee. My pirating days were over, not long after they began. I just wanted to say what an amazing read this was. The majority of my friends aren't geeks like I am so most of them have no clue as to what DRM even is. While DRM is a major headache for a person like me where I'd like to have all my content in a central location, DRM isn't a major headache for the average consumer who just wants to buy a BD at Best Buy and play the movie when they get home and most of the time this works out for the average consumer who buys everything legitimately. Of course there are headaches for the average consumer such as firmware updates but c'mon, issues like these aren't common for the average consumer. One other thing unrelated to DRM, some of my friends LOVE to show off their massive BD collection. Also, the scenario where a consumer unknowingly buys a pirated BD is pretty ridiculous unless you regularly buy your BDs on the streets of Downtown LA or China. I understand why the Studios are taking measures like using Cinavia to protect their content. I'm not being an apologist for the studios but movies cost A LOT of money to produce. Just ask any independent film maker. I feel anybody who reads this article and then goes and spends 50 to 100 million dollars to produce a movie, I'd bet you'd want to get the maximum profits out of that movie which includes the sale of BDs. Also, low budget movies don't rake in a lot of profit. That's why low budget movies like Blair Witch Project or My Fat Greek Wedding garner a lot of attention when they make lots of money at the box office. This isn't common. There's no doubt that piracy hurts everyone except the people who pirate the material and the people who buy the pirated material or get it free if its made available such as when Napster was around. Take PC Games for instance. The PC Game piracy is so bad that the Publishers are currently using some draconian methods to combat it. This ONLY hurts the legitimate purchasers of the game. Back in the day, (like 1998) I'd buy a game, bring it home, install it, the game would ask me for the serial # on the Jewel Case, I'd enter it, wait a few more minutes and then I'm playing. Now, you usually have to be connected online to even play single player games. Now Big Brother knows when and how long I've been playing their game. I'm for the argument that if the Music industry had embraced technological advances such as MP3s instead of trying to combat it, they'd probably be in a better position than they are today but there's no doubt that piracy hit the music industry hard. The reason for this long post is this. I was just thinking the other day that there isn't a legitimate way to purchase movies in file format so I could put it on my NAS and play it through my Western Digital set top box. The only options for a person like me is to either download the content through P2P or RIP a DVD or BD myself and encode it into a format that my WD set top box could read which I am not admitting to. Because of the DMCA, ripping movies is illegal. And why was the DMCA written into law? Because of rampant piracy. CDs aren't encrypted so the DMCA doesn't apply to CDs so legitimate purchasers are allowed under law to RIP it to MP3 and play it on any device they choose. CDs don't have encryption because they were created in the early 80s and MP3s weren't even invented back then. If the average consumer has access to free stuff and they know how to use it, then they'll use it but if that access gets cut off and it becomes too difficult for the average consumer to figure out, then they'll eventually buy the stuff they want. If Napster and Kazaa and all those other easy file sharing programs were still around today, I'd bet Katy Perry wouldn't be selling the same amount of downloads from iTunes or Amazon. Santa Ponsa (Spain), 09/21/2012 – Many DVD and Blu-ray users know this problem: the DVD or Blu-ray playback stops suddenly with a cryptic error message or remains frozen or silent. This is caused by the relatively new copy protection system Cinavia. Shortly after the Cinavia solution of DVDFab has been once again made useless by the Cinavia producer, DVD-Ranger Software offers help. The developers of DVD-Ranger have eliminated the Cinavia’s signal during the development of other software by accident. The Cinavia’s signal has been changed so that it has become unreadable. They have not fought against the Cinavia’s system directly; it is more likely triggered by a design error of Cinavia itself. Pixbyte has chosen the release date for the DVD-Ranger 5 with Cinavia module to be 10/31/2012 (Halloween). At the moment, the solution is being tested by well known people in the world of copying. Approx. 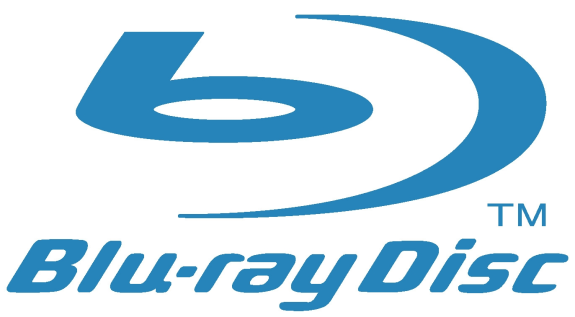 55% of all reported Blu-ray Region A/B disks and DVDs have been successfully tested so far. It will be also tested on PS3, various Blu-ray players and PowerDVD. Pixbyte is known by the DVD neXt COPY Software and DVD-Ranger products line. Pixbyte has been present for about 10 years on the backup and copy software market. Price and availability: DVD-Ranger 5 is currently available as pre-order at a price of $69.99. The final release price will be approx. $89.99. The Cinavia module will cost approx. $39.99 (included in pre-order).